The Refinance Index decreased 9 percent from the previous week. The seasonally adjusted Purchase Index decreased 6 percent from one week earlier. The unadjusted Purchase Index decreased 6 percent compared with the previous week and was 2 percent higher than the same week one year ago. 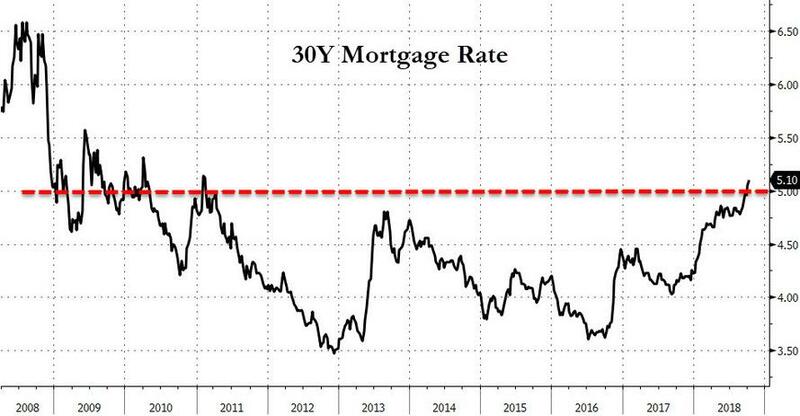 The average contract interest rate for 30-year fixed-rate mortgages with conforming loan balances ($453,100 or less) increased to its highest level since February 2011, 5.10 percent, from 5.05 percent, with points increasing to 0.55 from 0.51 (including the origination fee) for 80 percent loan-to-value ratio (LTV) loans. As we noted previously, the refinance boom that rescued so many in the post-2008 'recovery' is now over. 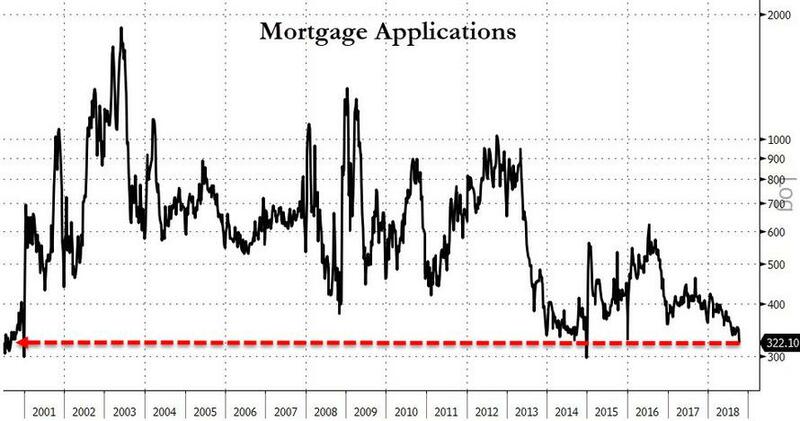 If rates hit 5%, the pool of homeowners who would qualify for and benefit from a refinance will shrink to 1.55 million, according to mortgage-data and technology firm Black Knight Inc. That would be down about 64% since the start of the year, and the smallest pool since 2008.